I have felt for two years now that what would be good for me is some sort of sugar fast. I don’t want to never eat sugar again, and I think all cheater-sweeteners (Splenda, Stevia, whatever) are a bad idea. But I do think that going off of it for a time is a good way to reset my taste and my cravings. So, when my good friend told me she was actually enjoying the book behind Whole30, It Starts with Food, I looked into the protocol more seriously. I realized it would be really hard, but it was doable and reasonable and not weird or crazy. Through the rest of the month I will be sharing my plans for doing a Whole30 in January. 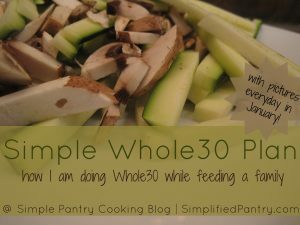 I’ll be doing a Whole30 for myself and my husband while feeding the kids their normal foods. I’ll be doing a Whole30 without buying crazy ingredients or specialty foods. We will see if I can manage a Simplified Whole30. In January, then, I’ll be posting pictures of what I eat. 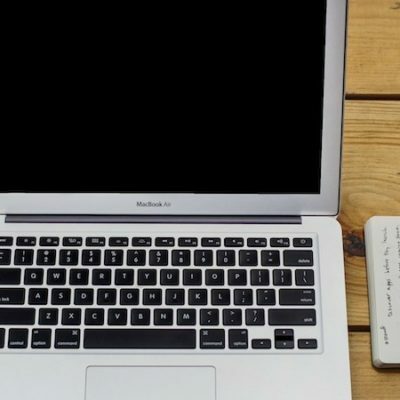 This will serve a three-fold purpose: 1) Give me easy blog content, 2) Help give ideas to others doing Whole30 (I’ve already been clicking through others who did the same thing! ), 3) Keep me motivated and accountable to stick to the plan. End sugar cravings & blood sugar swings. Reset my taste for sweets after Christmas, so that I’m happy with small portions. Lose 15 pounds. I have 17 to lose to be at my goal weight. Fifteen is a lot in a month, but I’d be happy if it’s more than 10. The plan is now available for free download! I am intrigued. Will check out to book but do you have any favorite websites to get me started while my buying budget resets from the holidays? So I left that first comment and then got on my computer and saw the page link to the Whole 30 site. Slow morning for me. Thanks! I’m going to try to have the plan up by the end of the week! I think it is doable with my simple pantry list, with the optional swapping of coconut oil for the canola. I think I would stage a coup if I had to feed the kids this way! :) That’s a lot of veggie prep! We are seriously looking into doing this in January as well, thanks to your mention of it! I already aim for a whole foods/ Nourishing Traditions type of a diet as much as possible (with the occasional jar of Nutella, heh, heh). We’ve been needing to do something though to address some health issues in our family and this seems like it might just be an answer to prayer for guidance in this direction. I’m looking forward to seeing your plans since I’m hoping to implement this for our whole family (8 children, myself and my husband) and need plenty of practical, family friendly meal ideas to make this work. Wow, that will be a lot of vegetables! I’m still going to be adding a starch to dinner for the kids, and letting them have pbj for lunch, but everyone will be getting more protein and more vegetables, so it will be good for us all. My plan has a bone broth batch planned into it once a week, too.